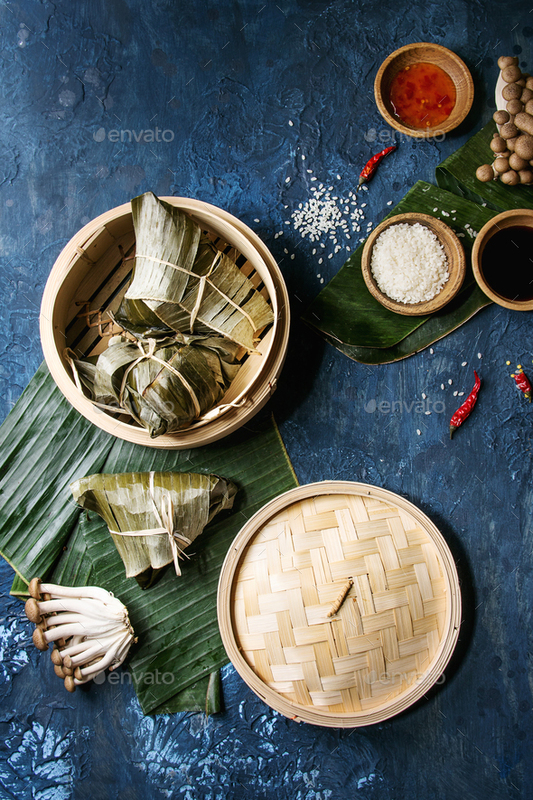 Asian rice piramidal steamed dumplings from rice tapioca flour with meat filling in banana leaves served in bamboo steamer. Ingredients and sauces above over blue texture background. Top view, space.